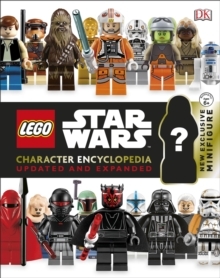 The updated and expanded ultimate guide to the minifigures of the LEGO[registered] Star Wars[trademark] galaxy DK’s expanded LEGO[registered] Star Wars[trademark] Character Encyclopedia now includes many more new LEGO Star Wars minifigures! Meet the amazing LEGO Star Wars minifigures. Discover incredible LEGO Star Wars facts, such as which minifigure is the rarest and which can be found in the most LEGO sets. This new updated and expanded edition contains 72 additional pages of new minifigures.